This particular boiler comes with an output of 18kW meaning it is perfect for those homes with more than one bathroom with a high demand for hot water. 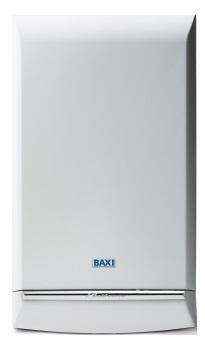 The Megaflo System 18 Gas Boiler is a popular system gas boiler brought to you by Baxi. If you have a larger house with 2 or more bathrooms, the 24kW, 28kW and 32kW may be more suitable for you. The Megaflo system 18 has an efficiency rating 88.6% and is rated B for heat. This boiler is designed to lower your carbon emissions and annual heating bills. This boiler is compatible with megaflo eco hot water storage cylinder and can be used in conjunction with Baxi solarflo, giving you the ability to save even more money on your annual energy bills. It is also compatible with a multifit flue kit giving you a choice of lengths and bends making this boiler super-flexible in where it can be sat. This boiler comes with a seven year warranty.